Consider your sunglasses only as an accessory? 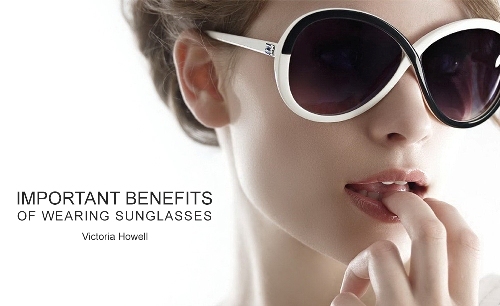 Learn five benefits of wearing sunglasses and stop underestimating them! Protection from foreign particles is one of the main benefits of wearing sunglasses. Some things are just not meant to be in your eyes. Your accessory will protect your beautiful eyes from dust, bugs, or whatever tries to get there. Whenever you leave your house, don’t forget to take your custom glasses with you! Sunglasses are very important to ensure safe driving! A lot of car accidents happen because drivers weren’t able to see the road due to glare. Good eyewear helps to reduce glare and clear your vision. Wear your sunglasses to prevent this from happening and save lives of innocent people. Many people don’t wear sunglasses because they don’t believe in negative consequences of exposure to the sun. Harmful UV rays can do a lot of damage to your eyesight and cause serious health problems. Sunglasses aren’t just an accessory, they offer strong protection from the sun, that’s why you should always wear your custom glasses. Sunglasses can add some spice to your everyday look. You can experiment with different styles and shapes to create a perfect look everyone will love! Check current trends and purchase a pair, which will make you look gorgeous! There are days when you just want to hide from everyone and stay there, but destiny makes you go out. Sunglasses will help you to keep invisibility; moreover, this accessory is great at hiding signs of a sleepless night. Nobody will see your red, swollen eyes, so keep calm!